Understanding the concept of ERP and what it can do for you. What is ERP? Global research and advisory company Gartner define Enterprise Resource Planning (ERP) as ‘the ability to deliver an integrated suite of business applications’. But you ask, what does this mean? In today’s business world, it can be increasingly difficult to operate without the aid of sophisticated IT infrastructure and systems, due to the sheer amount of information and systematic processes that comply with ‘best practice’. Still, many companies of all scales are trying to manage with old core systems and spreadsheets; but at what cost in efficiency, accuracy and stress? An ERP system integrates vast amounts of information from all areas, such as HR and finance to manufacturing and distribution. The reasons for the adoption of such systems vary on a large scale as there are so many. The fundamental goal is to encourage collaboration between departments and streamline business processes, ultimately helping you make informed business decisions. Is ERP the right solution for you? An ERP system can be an instrumental and vital piece of software to help manage the everyday business. The system can provide insights into warehouse management, customer relationship management, production, project management, all the way to accounting and everything in between. Please note that ERP is never ‘the answer’ to a company with issues, but often a core part of the answer. For any company to survive, grow and continuously adapt to the changing scope of global business, you need to have a reliable and robust infrastructure in place, whether this is tangible or cloud-based – ERP can offer both instances. Implementation of an ERP system within an organisation can (and often should) change the way people work. A significant benefit of ERP is business process automation (BPA); this is the process of managing data and information through the use of technology and without the need for human interaction. Hence, freeing up your staff to focus their attention on important matters that time-consuming admin tasks would usually take them away from (e.g. re-keying data into spreadsheets or single point solutions, or copying and pasting from one spreadsheet to another). How does an ERP solution work? At the most basic level, the software provides one central database which stores all information required, with relevant data flowing from the point of entry between the different functions within a business, this is then integrated into one central data repository (database). Large scale companies may have several databases, which in turn, link. This collection of data offers a single version of the truth rather than many ‘silos of information’. ERP systems are, by their nature, comprehensive and sophisticated. Finding the most appropriate solution and implementing it well is challenging. However, executing this and the associated change process with excellence means from go live, you can see the result work its magic. 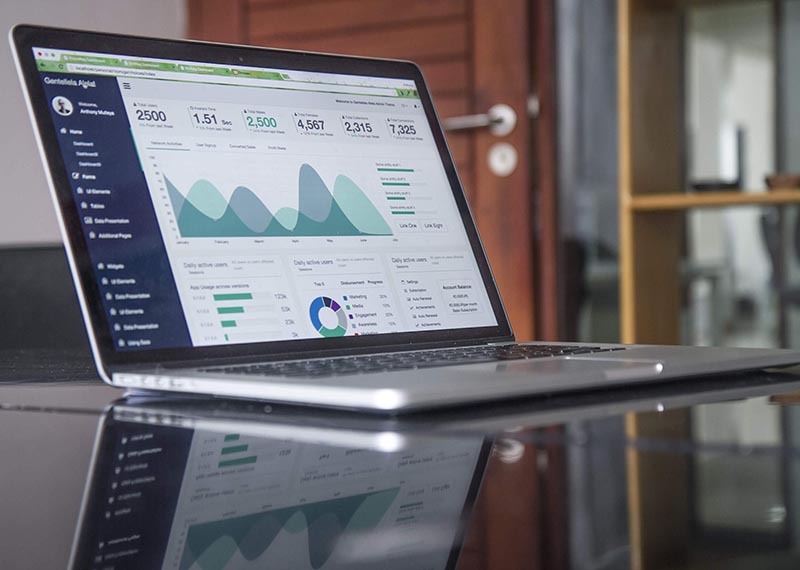 Once all of the data is connected, you can expect to have a clear view of all of your business operations, providing real-time data which is crucial to vital decision making and operational management. To give you an example, take a look at how we worked with Fever-Tree to replace numerous single point solutions and spreadsheets, helping them to manage supply and demand planning for the future with the undoubted success of their operations. On the surface, most ERP solutions look like they do similar things, there are many different packages available on the market, all built by different vendors and all claiming to do just about everything. The devil is in the detail, here. With any solution, there is a whole range of options giving you possibilities to change how specific processes are handled. Before engaging with a vendor, give yourself the time to research your needs and requirements. Ensure you consider what you expect to be delivered in terms of your vision of the future. We strongly advise doing sufficient preparation work before choosing who you work with in selecting an ERP software and vendor. Everyone knows it can be a costly process and of course, you want to get it right the first time. The truth is – project failure is always more expensive than success. Always recognise that this transformation takes a lot of resources, the level of which most businesses underestimate. The change is a business project, not an IT project and this is crucial information for any ERP implementation. Another top priority to begin the transformation confidently is to have the buy-in from your staff very early in the process. It is also worth noting that if you are a privately owned SME (Small to Medium-sized Business, up to £500m turnover) that all your key staff may be busy running the business. Have they the time or experience to manage and drive this transformation? Many companies seek external assistance for the project duration. These should be independent and impartial specialists who have knowledge and business experience to add value in the journey. The choice to involve a specialist is the best investment a company can make on their journey. ERP is a catalyst for change, and by implementing a new solution, you are choosing to transform your business. A simple ERP health check can tell you if there is an issue or need. It may be that there is no need to invest in a new system. Instead, an upgrade or re-setup is required as the old software is out of alignment with the processes and methods of your business or the market it serves. The key before weighing up the pros and cons of ERP is to define your business priorities clearly. Whether priorities are to remove spreadsheets and workarounds, improve interdepartmental collaboration and efficiency or improve analytics and reporting. Once up and running, you will find that the rewards of your new solution far outweigh the initial time and cost involved with implementation. So long as you choose the right partner to work with you along the way. If you would like to find out more on how we can help with your ERP journey, then contact us today for an initial, no obligation discussion about your aspirations and how we can help you and your business deliver your vision for the future on +44 (0) 1282 463710.